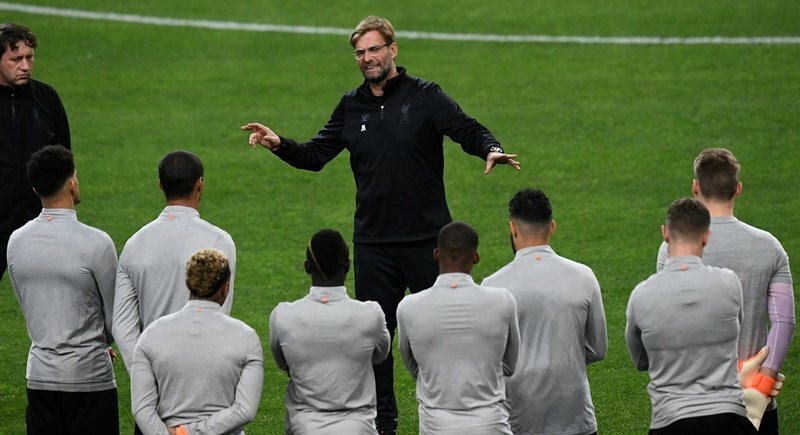 FOOTBALL: Jurgen Klopp says his current Liverpool squad is the strongest he has ever worked with as the players prepare for a return to action after a warm-weather training camp in Spain. Despite the sale of Philippe Coutinho to Barcelona last month, the former Mainz and Borussia Dortmund boss said it was difficult to leave players out. Last week’s 5-0 thrashing of Porto in the last-16 of the Champions League was achieved without the suspended Emre Can and long-term injured Nathaniel Clyne but there was still no room in the matchday 18 for the likes of Dominic Solanke, Ragnar Klavan and Ben Woodburn, the youngest scorer in the club’s history. The result means Liverpool, who host West Ham in the Premier League tomorrow (Feb 24), have virtually ensured a first Champions League quarter-final for nine years, with the second leg at Anfield now a formality. “It’s really hard in the moment to make the squad,” Klopp told the club’s TV channel, LFCTV. “Wow, I’ve never had a situation like that with the quality of the players not being in the squad. “They all have made really big steps. Dom Solanke was not in the squad but is in outstanding shape at the moment. Ragnar Klavan, unbelievable. Ben Woodburn makes steps and is really close to everything. Striker Danny Ings was one of the players to come off the bench at the Estadio do Dragao. It was just the 25-year-old’s sixth appearance of the season after making his comeback from two serious knee injuries in the previous two campaigns. “Danny is in fantastic shape. It always takes time. Now, after two-and-a-half years, he can play in the Champions League. It’s a wonderful story, it’s really deserved,” added Klopp, whose side are third in the Premier League. “Is Danny knocking on the door for the first team? Yes, absolutely. It’s good. He needed time. “A few months ago it was different but a player like him, when they come back they think ‘I am under pressure’ and they want to come in immediately and get game time. “Danny went the hard way. He played a lot of games for the under-23s.